Love to, but my social coordinator has me booked tomorrow night. You going out on Saturday or Sunday morning? My youngest has a 7:30am soccer game on Sat., but I was considering hitting the trails after that. 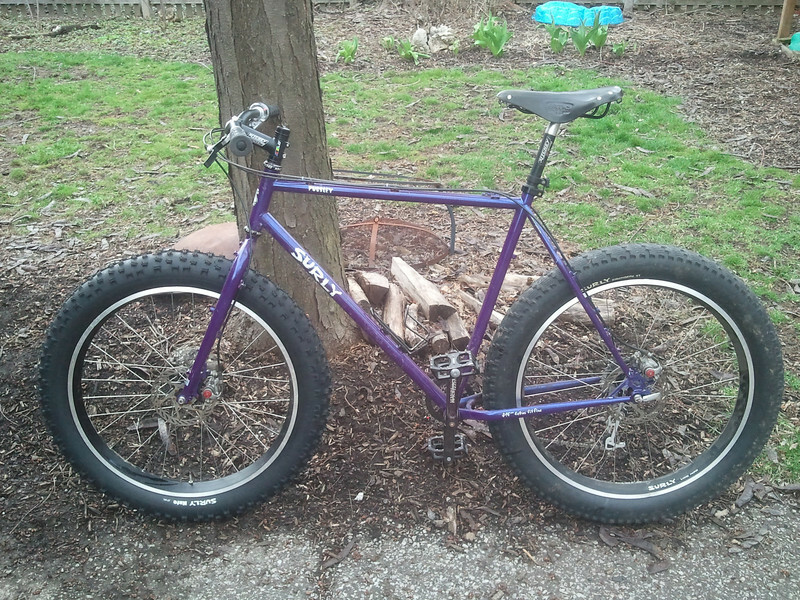 SS Pugsley with my Troll in road mode, Schwalbe Big Apples 2.35 looking tiny. I've made a few changes over the past few months... Marge Lites w/ 616 hubs, Salsa Pro Moto 1 stem and carbon bars, XO shifters and I swapped out the steel Enabler Fork for the Carver Carbon O'Beast. I think I'm pretty much done. I may put on a set of XTR hydros next year (BB7's are more than meeting my needs, but the Krampus hydros are spoiling me). She's ready for Pelotonia! Marge Lites w/ 616 hubs, Salsa Pro Moto 1 stem and carbon bars, XO shifters and I swapped out the steel Enabler Fork for the Carver Carbon O'Beast. 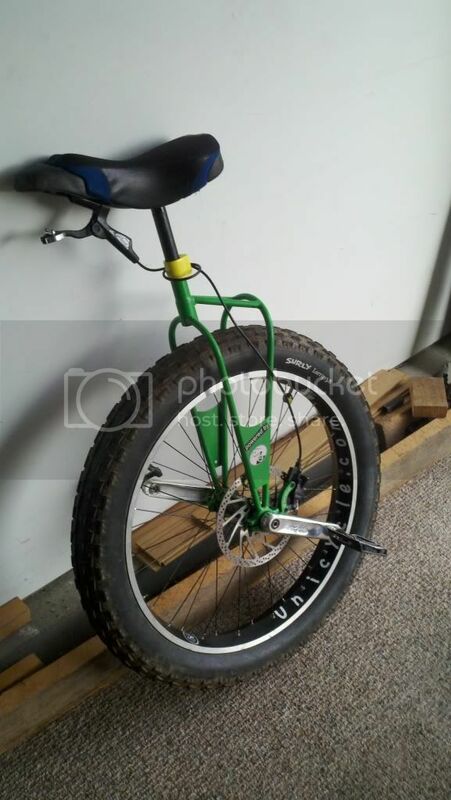 I know a lot of you guys are concerned with weight of these bikes. But to me, this seems like a lot of trouble to go through. 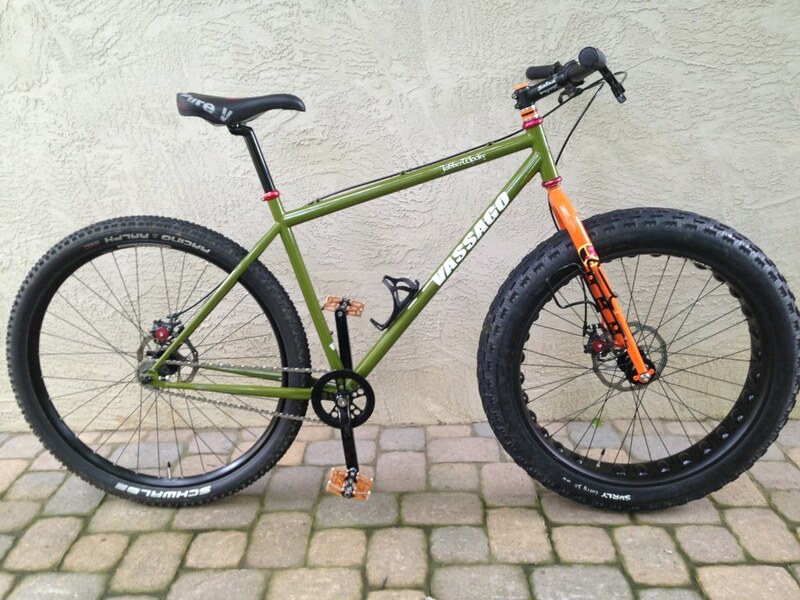 A fat bike will always be, well, fat... what's next tubeless? "I didn't post this to sir a debate or a holy war (or disrespect any of you... I love the passion you guys have for bikes... I share that), but I just have a tough time understanding why everyone goes to such great lengths for (what my subjective opinion is) for minimal reward. " Just messing with you, love the upgrades . Let us know how you like the fork. I had that one coming... my buddy mentioned the same thing. My Ebay deals went crazy. 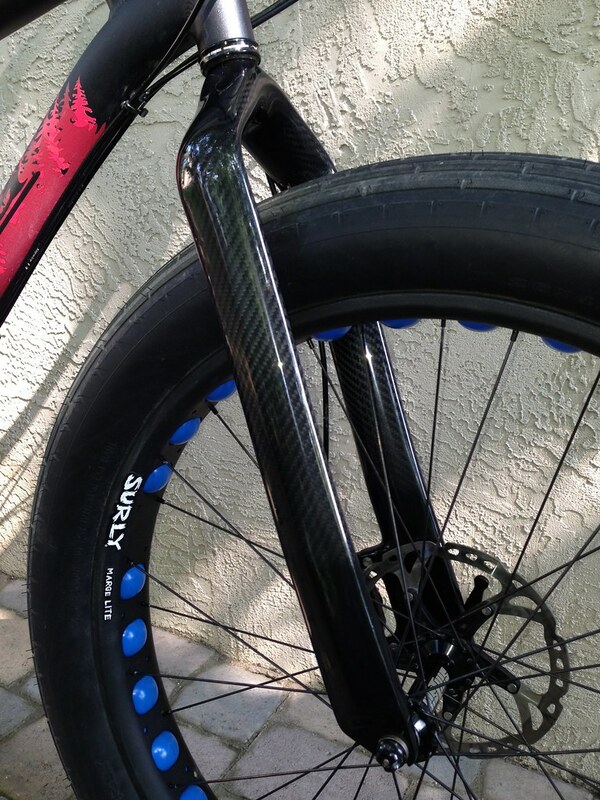 The carbon bits are more for feel and less fatigue than anything else. 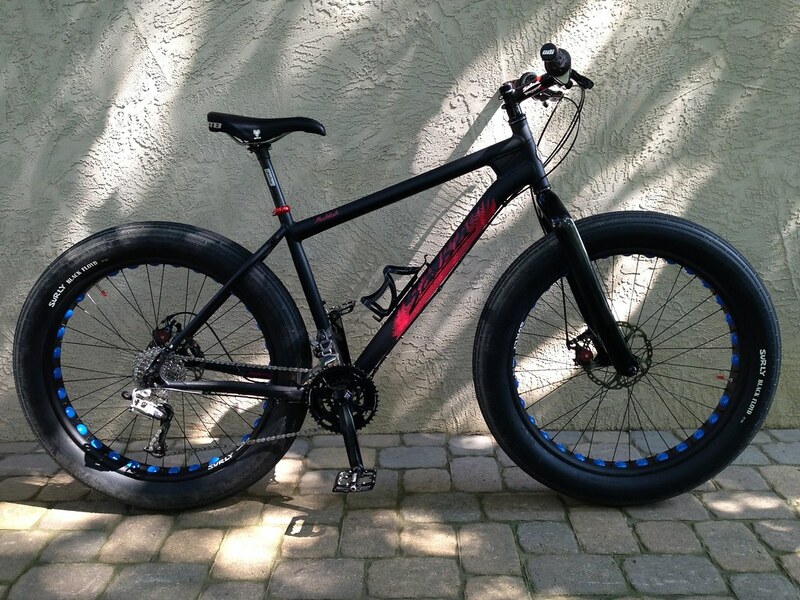 (I love the carbon bars and fork... vibration has magically disappeared)... and losing a few pounds is a nice by-product. You'll be pleased to know that I am NOT running tubeless. Ha! I do the same thing. My Moonlander wears carbon bars. That Muk looks awesome, and I love the Black Floyd tires. Thought I'd post some pics of my Moonlander with it's new Lefty. I've had a lefty on it before, but the axle-to-crown was a little short for my liking. I found a Lefty Max and had it setup with a PBR damper and tweaked it to be at about 470mm a-c with sag. Much better, and it seems a great match for the Bud and Lou tire combo. Can't wait to go ride some mud! Last edited by knoxuni; July 30th, 2013 at 11:18 PM. What tires did you switch to?